You will be part of a great team providing services across both emergency, elective, acute, inpatient and outpatient and receive formal and informal training. 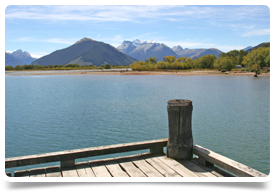 Work on New Zealand’s South Island in a fantastic location offering beautiful scenery, an extensive range of outdoor activities - amongst them are world-class fishing, sailing and skiing in close proximity to mountains, lakes and the sea. If it's adventure you're searching for, it's out there - hiking, kayaking, snowboarding, windsurfing, mountain climbing, hunting, bungee jumping, surfing, mountain biking, skiing. The region has it all from spectacular scenery to a relaxed, informal café culture which you can indulge in as you watch the world pass by.